It’s no contest. 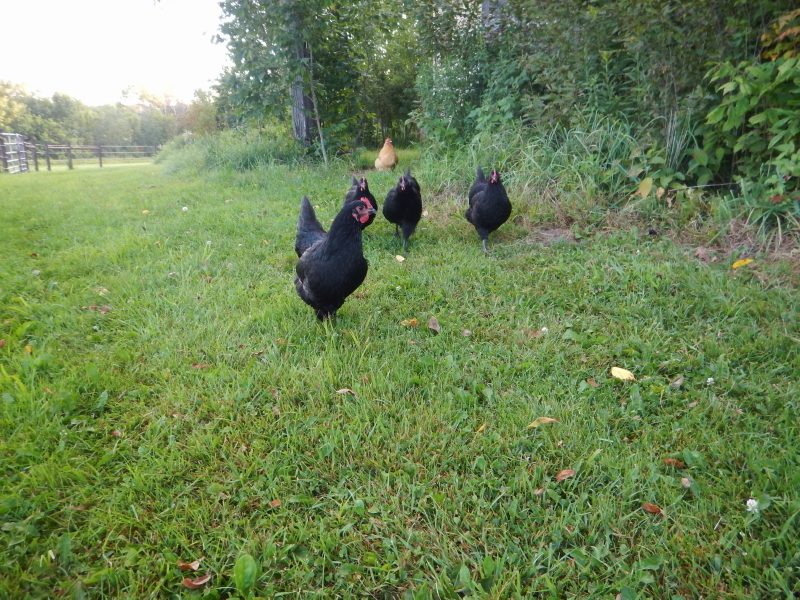 When the chickens hear us out and about, they come running. Lately, a pattern has developed in which one of our three breeds is demonstrating an unmistakable preference to socialize. 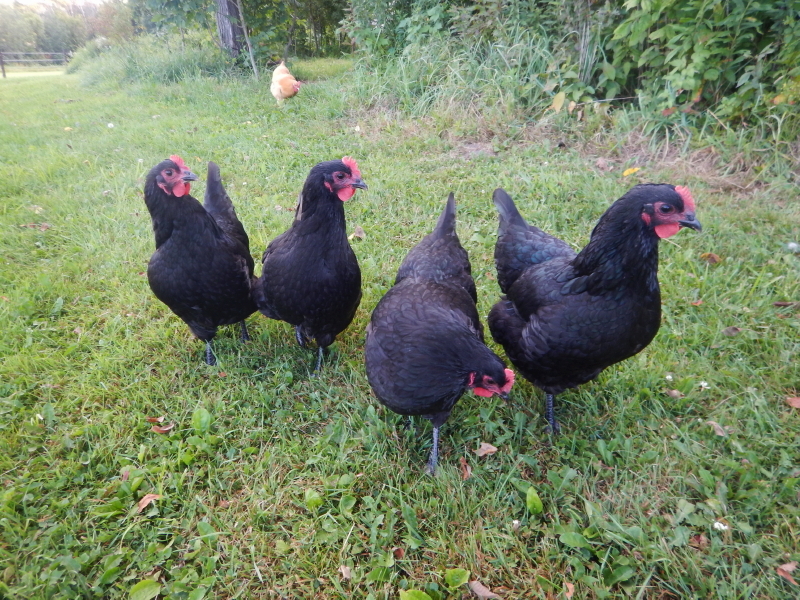 Our black australorps are the first to approach and then will linger and visit socially, far longer than the rest of the flock. Cyndie brought out some food scraps from dinner last night, which eventually attracted all the buffs and wyandottes to join in the fun. On Wednesday night, Cyndie came in from a walk with Delilah and was completely out of breath. She described a scene that sounded totally hilarious. 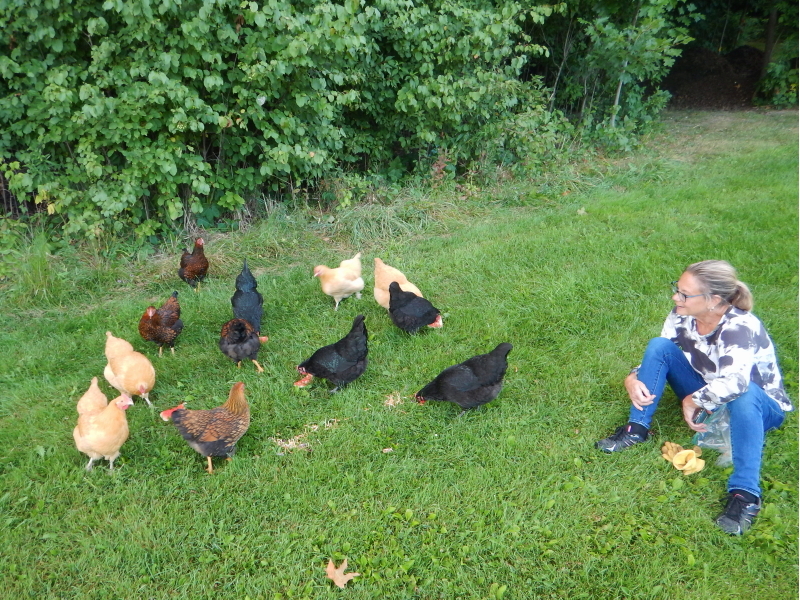 Since we have little trust about Delilah being near the chickens, we practice a lot more avoidance than we do spending time trying to teach her to respect them. 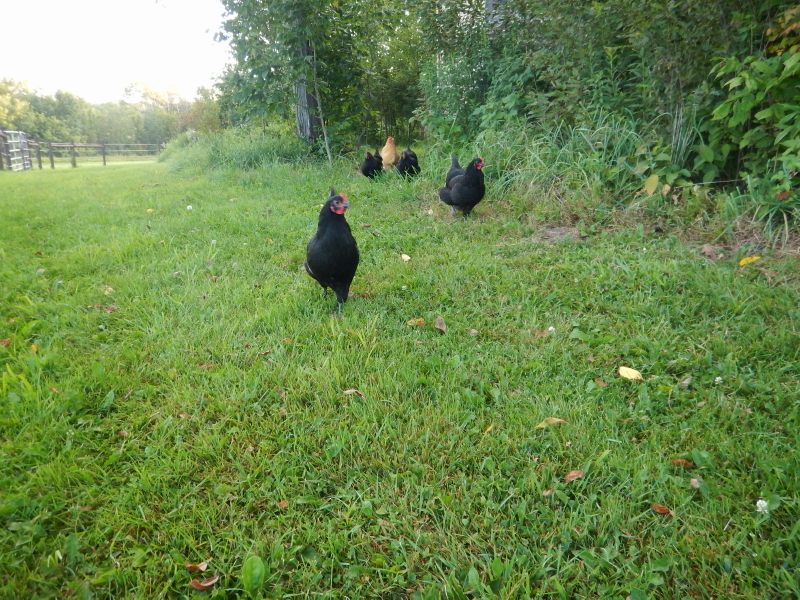 When the chickens heard Cyndie and Delilah walking by, the birds emerged from the woods and started running after them. Cyndie hoped they would notice the dog and maybe back off a little bit, but they kept coming. So, she prompted Delilah to pick up the pace a bit and chose a path straight for the house. The chickens kept coming. 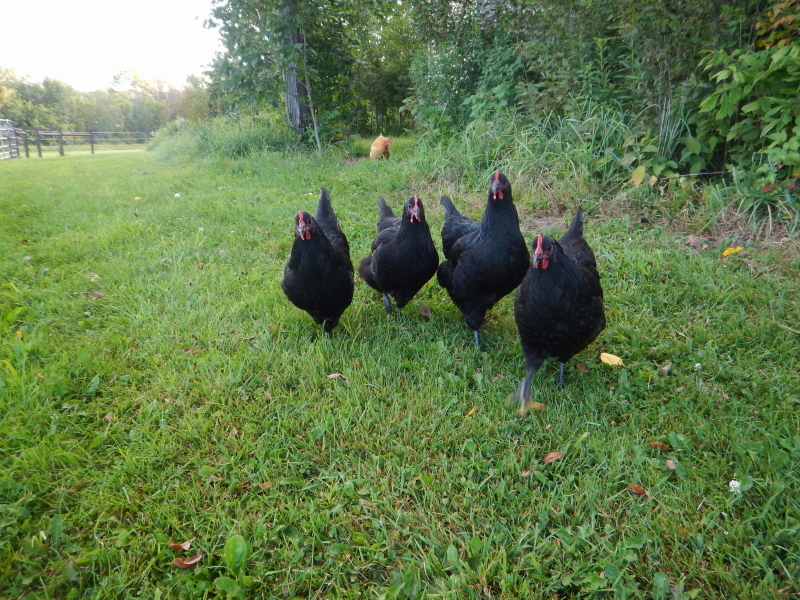 Soon, Cyndie and Delilah were running for the door, being chased by the flock of twelve chickens. Led, of course, by the friendliest four. What fun they add to our days!